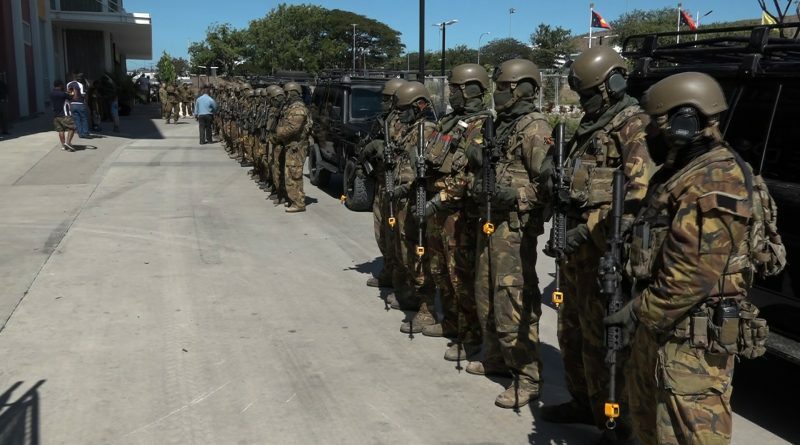 The APEC Papua New Guinea Joint Security Task Force (JSTF) will increase planning for the APEC year, under the direction of the Commissioner for Police, as the Task Force Commander. As part of this, Prime Minister Peter O’Neill said one of the most pressing issues before the JSTF is to enhance border security and he expects a high-level workshop to be hosted in the coming weeks. “The safety and security of leaders, ministers, delegates, staff and members of the public is of primary importance to ensuring the successful delivery of Papua New Guinea’s APEC year,” the Prime Minister said. “NEC has approved the establishment of the APEC PNG Joint Security Task Force, under the Command of the Commissioner of the RPNGC. The PM says the APEC meetings will formally begin with the informal Senior Officials’ Meetings in December 2017 through to the Leaders’ Summit in November 2018. However, there will be a pre-deployment operation to support the APEC Transportation Ministers’ Meeting in October. “To provide this, the JSTF Commander has the task of fully standing-up the JSTF, its staff and assets, in order to plan for the engagement of all force elements,” states O’Neill. “This involves agencies of State, working with our partner economies, to be operationally deployed from December 2017 to November 2018. “The Commissioner of Police, as JSTF Commander, will now develop a JSTF staffing structure that will second officers of Papua New Guinea’s security agencies to the JSTF when they are required. “The Commander of the JSFT is responsible for establishing planning, command and staffing, drawing on the resources that had been earlier identified by the Committee on Safety and Security, as the peak advisory body, to formailise immediate planning.